Disclaimer: This post contains affiliate links, which means, if you purchase from a posted ad I may receive a commission at no extra cost to you. Thank you for your support. Hello to all! Thank you for stopping in! When the weather is colder I like to batch cook and fill the freezer, as I think many people can relate to. There’s always lots of soups, lasagnas, casseroles and spaghetti sauce! 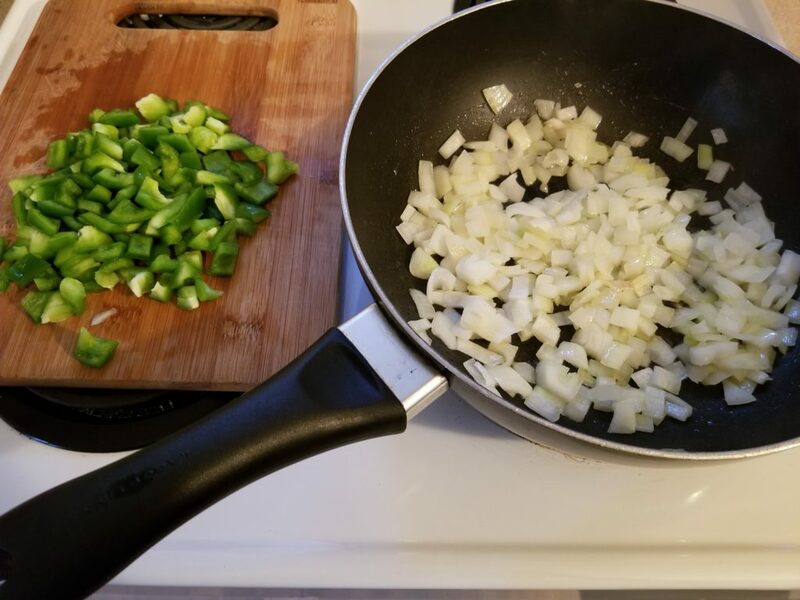 In a large frying pan saute onion and green pepper on medium heat until the onions are translucent. 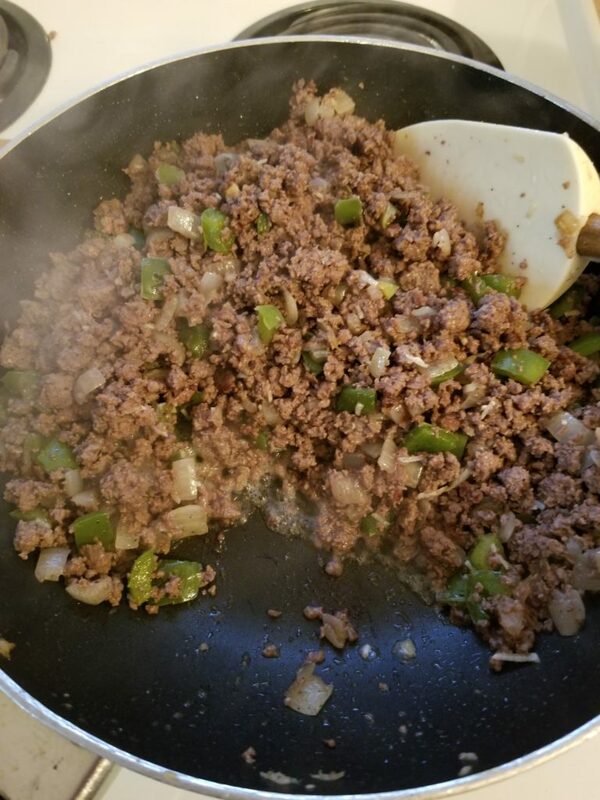 At this point add the ground beef and minced garlic. Cook on medium high heat until the beef is browned and any liquid has evaporated. Making sure the liquid has evaporated is important. Your sauce can become watery if you don’t. Now pour the beef mixture to a larger pot, like a dutch oven. Add the diced tomatoes, the tomato sauce, tomato paste, Italian seasoning, basil, Worcestershire sauce and the bay leaf. Stir and bring the sauce to a light boil over medium heat. At this point add the water and let it simmer for an hour and a half, stirring occasionally. The sauce will reduce and become thicker as it simmers. This recipe makes quite a lot and I prefer it that way because as I said earlier I like to make and freeze, in fact I often make 2 batches so I have lots on hand in the deep freeze. ready to be added to the pot. simmer until it reduces and blends. This is the finished product. Looks delicious!! Spaghetti is a staple. And my family always bicker about our favorite sauces. Hope to try this recipe soon and see if it pleases the masses. Thanks! This looks absolutely delicious!! I love the addition of the green pepper…I don’t see that often! Thank you! I’ve always added green peppers, I think I picked that up from my mom. Mmm yummy! I love spaghetti and this sauce came at the perfect time. Can’t wait to try it. Thank you for sharing! Yum! 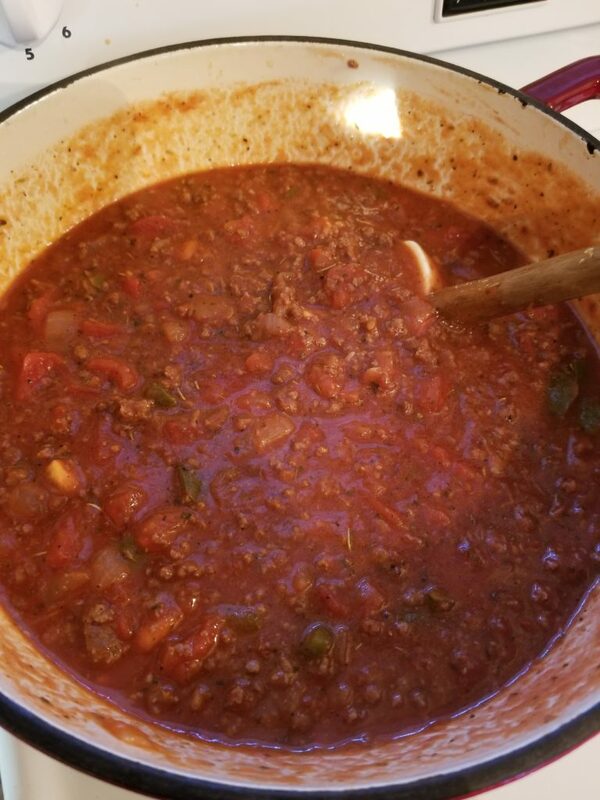 This spaghetti sauce looks hearty and meaty — two of my husbands top requirements. I love the idea of making extra to freeze to have for later! Can’t wait to try! Haha, those are my husband’s requirements as well! I hope you like it. I bet this smells divine when you are cooking! I’ve pinned it to try later. It sure does! I hope you enjoy! What a yummy recipe! 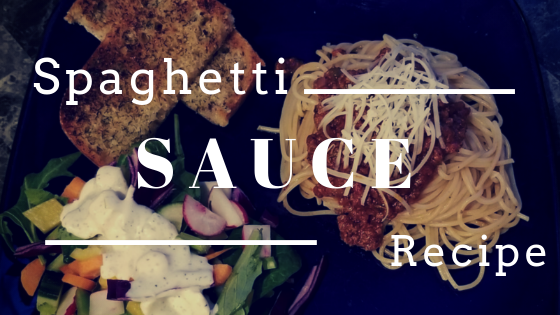 I’ve never made spaghetti sauce myself but this sounds so good! 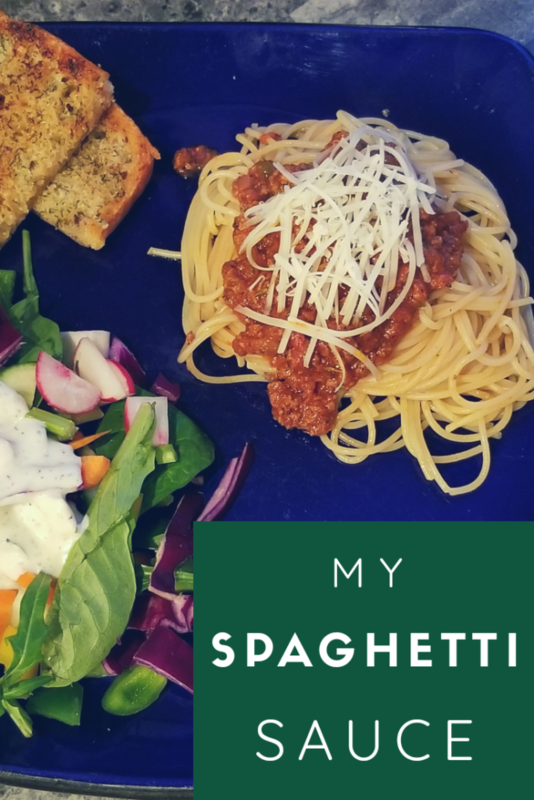 Spaghetti is so easy to cook yet so delicious! I love this recipe lots of meat and spices. I need to try this for valentines day! This looks delicious and hearty! Never made my own sauce, but will be trying your recipe! looks delicious! definitely want to try ill just sub out the meat since im vegetarian! thank you! Yes, that would work too. I often make meat dishes vegan. I use lentils sometimes for this!